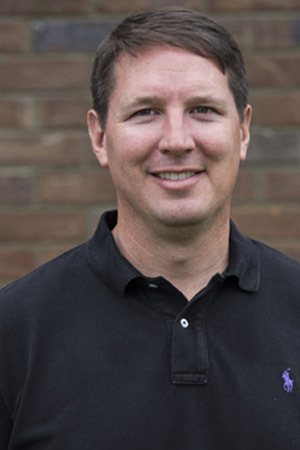 Dr. Seth grew up in Greenwood and is a 1995 graduate of Wofford College where he earned a BS in Biology while he was a member of the football team. After graduating from Wofford, he made the decision to pursue a career in dentistry and attended MUSC in Charleston, graduating in 2000. The year after graduation Dr. Seth continued his education with an Advanced Education in General Dentistry residency at MUSC. In 2001 he and Dr. Dawn decided to open a practice together in Laurens. After living in the Laurens area for several years, Seth became involved in several community groups. He has served on the board of the Laurens County Chamber of Commerce as well as the Laurens County Touchdown Club. He is a member of the Wofford Terrier Club and is a life member of the MUSC Alumni Association. He is also a member of the South Carolina Dental Association and the American Dental Association. When Seth isn’t enjoying helping his patients, he loves restoring old cars and spending time with his four daughters. He also enjoys attending Wofford sporting events especially football. He is also very active at First Baptist Church Laurens through which he has gone on several mission trips to Trinidad and Haiti. Dr. Dawn grew up calling Laurens home, and is a graduate of Laurens High School. She went on to attend Presbyterian College, in Clinton, for her undergraduate education. After graduating from Presbyterian College in 1997, Dawn attended dental school at MUSC in Charleston, where she graduated in 2001 with a DMD, Doctor of Dental Medicine, degree. It was Dawn’s love of the Laurens and Clinton area that drew her back home to start her dental career and business. Dawn wanted to start her new business in a community she knew and loved, and a place that held so many fond memories for her growing up. Reynolds Family Dentistry was established in July 2001. The practice experienced such an outpouring of support, that in 2006 the practive was relocated to a new, larger facility in between Laurens and Clinton, so that they could better serve the people in their community. In August of 2006, the current office was opened and ready for business. Dawn is very proud of the family atmostphere of Reynolds Family Dentistry and strives to make each and every patient feel comfortable and “at home”. When she is not serving her patients at the office, Dawn loves spending time with her daughters, Haley, Emily, Anna Nance, and Ellen, and stays very busy with their extracurricular activities and events. Dawn is active in the community and her church. She is very involved with her children’s schooling in Laurens County. Her first passion is to ensure her children experience the same great childhood in the Laurens and Clinton area that she did while she was growing up. Dawn enjoys spending time outdoors gardening, hiking, and running. She spends much of her free time with family at Lake Greenwood. She also enjoys interior decorating and building and painting furniture.